Did you check what goes inside the cup of chocolate milk your child just had?!! All you need to do is mix cocoa powder (preferably organic raw cacao powder) in 3 tbsp of hot water for it to dissolve before putting it in a glass of milk. Add raw sugar or stevia for sweetness if desired. 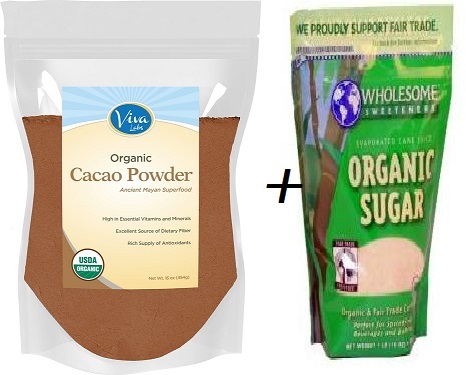 One extra step can shield your kid from all the all the harmful chemicals that she is just going to consume and provide her with the antioxidant boost of cacao powder. Tip: The no brainer solution to reading your food labels is to look for products with the least number of ingredients instead of a bunch of additives. Thank you, Sonali. Baby steps! The label is so overwhelming at times with all the names that at times I choose one with least ingredients. Will have to learn more from you! !